Skill Level: All those with knowledge of peyote stitch are welcome. 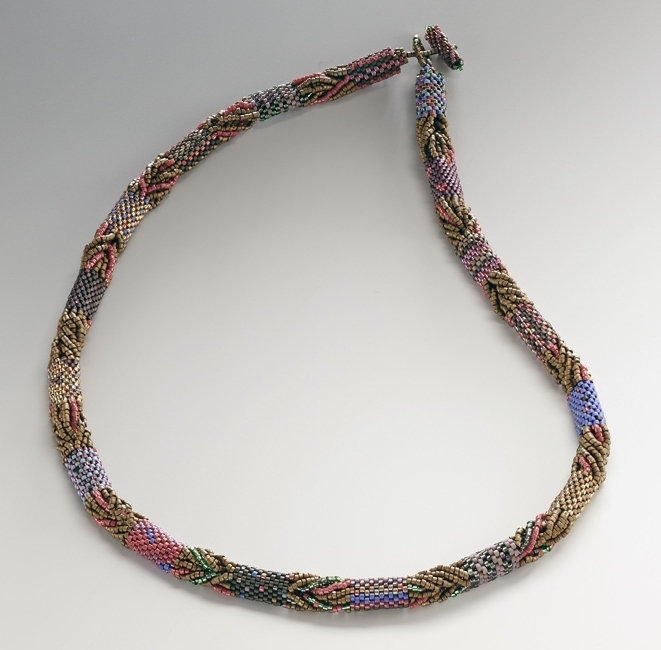 Using a new “twist” together with peyote stitch, NanC Meinhardt will teach the participants of this workshop to make an elegant yet easy to accomplish necklace. 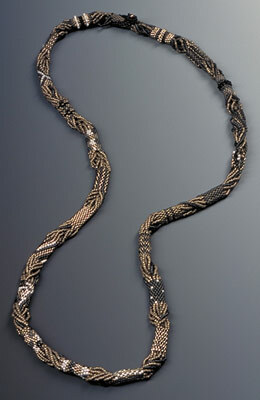 This necklace is composed of off-loom beaded elements connected to each other with an innovative method of bead stringing creating a braided effect. Designed by Deneen Matson, this piece lends itself to several variations and may be modified to fit your level of expertise. Two of the options that will be demonstrated are adding a second layer of beading to your components and choosing a mix of various size beads to use in the braided sections. Bring your own creative voice into the process to make a necklace as individual as you are. 6 tubes (7.5 grams) of Delica size 11 seed beads in two or MORE colors. I use as many as eight different colors (or more!) in the Deneen’s Necklaces I make for myself. The colors may be either in subtle or high contrast.